In Kyiv, Ukraine on September 26, FLEX alumni were honored to be invited to a reception thrown by U.S. 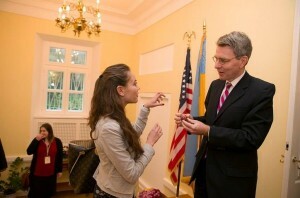 Ambassador to Ukraine Geoffrey R. Pyatt. 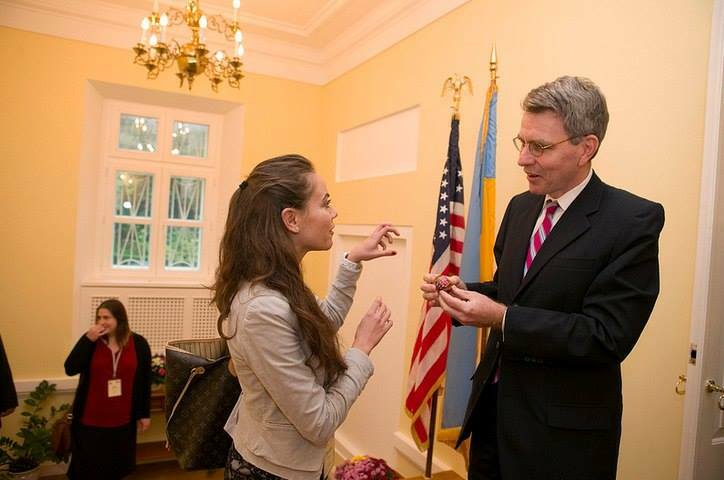 Ambassador Pyatt welcomed the guests and introduced talented singer and pianist Dmytro Shurov ’98, who performed for the guests. Following the concert guests enjoyed socializing.